I landed in Venice a day behind schedule. I caught a terrible flu and decided to take a day to recover. When I arrived in Venice around 10am, I hit the floor running. I met my friends at the car rental place located at the Venice Airport. The car rental area is located by the water public transportation. From the arrival terminal, instead of walking straight to the water public transportation, take a left and hop on the elevator up to the third floor. I rented a car through Hertz. I took a number and waited for an agent to assist me. Once my number was called, I had to present my drivers license, passport, and credit card. Venice doesn’t require an International Driving Permit but I heard Slovenia does. The agent reviewed my reservations and offered an upgrade to a larger vehicle. She said the trunk space would be more equip to handle our 3 carry on bags and 3 small backpacks. We accepted the offer…which I later regret after leaving the lot. We also decided to add full coverage for our vehicle because we didn’t know what the road conditions would be like. The price was $50/day. Leaving Venice wasn’t too bad. It was a straight shot and the roads were well paved. It wasn’t until we were about an hour away from Predjama Castle that we had a detour. The straight shot road was closed for construction so we had to take the backroad. Our 2.5 hour drive, now took us 3.5 hours. The worse part was that the detour took us to countless roundabouts. I’d be okay if I never had to see another roundabout again. There are a few things that I would like to mention. Make sure you have plenty of euros..change preferred. We went through so many toll booths. You will enter a toll area, grab a ticket and pay at the next toll booth. Tolls ranged from €3 to €11. I recommend stopping at a gas station on the way to Slovenia. We were fascinated by the bars inside the gas station…and the one we went to even had a stripper pole. 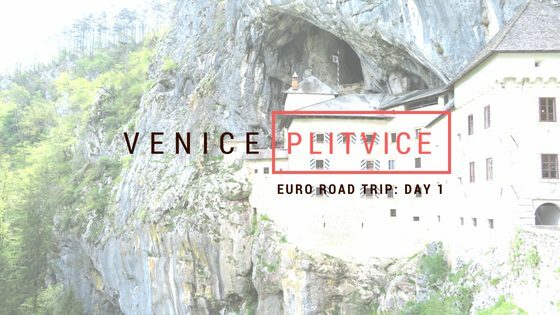 Right before crossing the border into Slovenia, we stopped by an Infopoint to purchase a Vignette Pass. 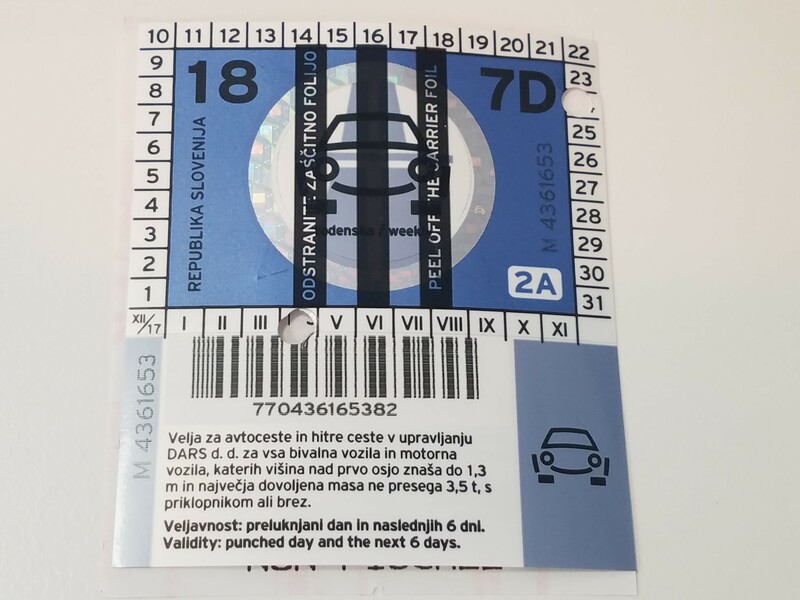 A Vignette Pass is a mandatory highway toll sticker that you must display when you drive in Slovenia. There are many shops by the border that sale these vignette pass. It costs €15 for one week in a regular sized vehicle. Make sure you purchase a vignette pass before you cross the border. 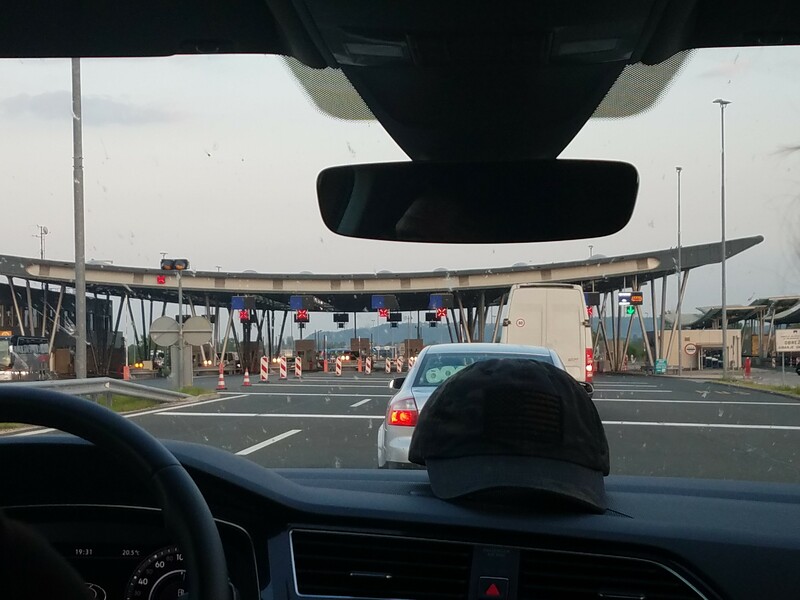 We immediately crossed a toll booth once we entered into Slovenia. 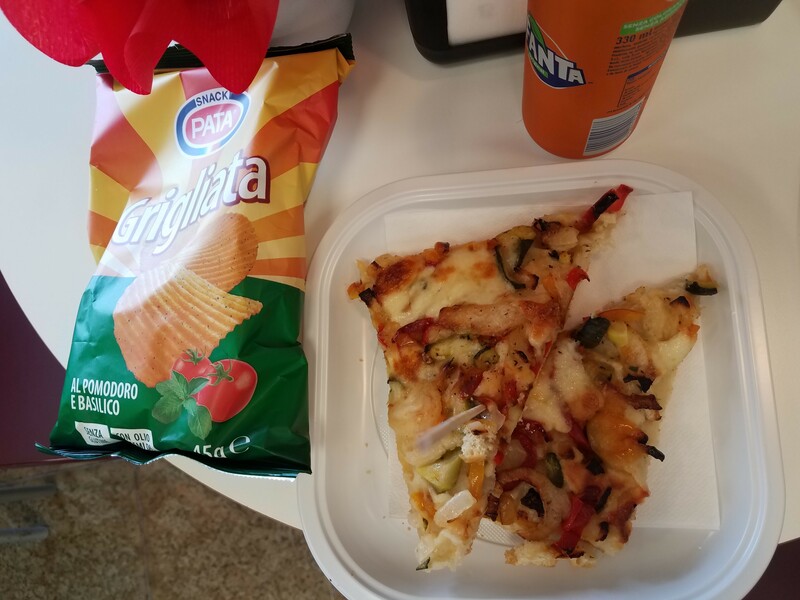 While we were at the Infopoint, we popped on over next door to purchase a slice of pizza and a soda. 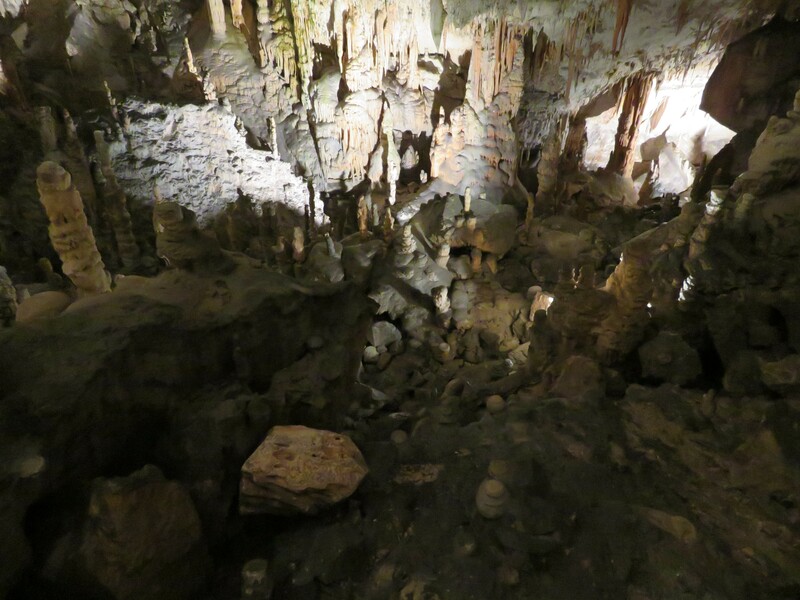 We arrived at Postojna Caves around 1:30pm to purchase our combo ticket. 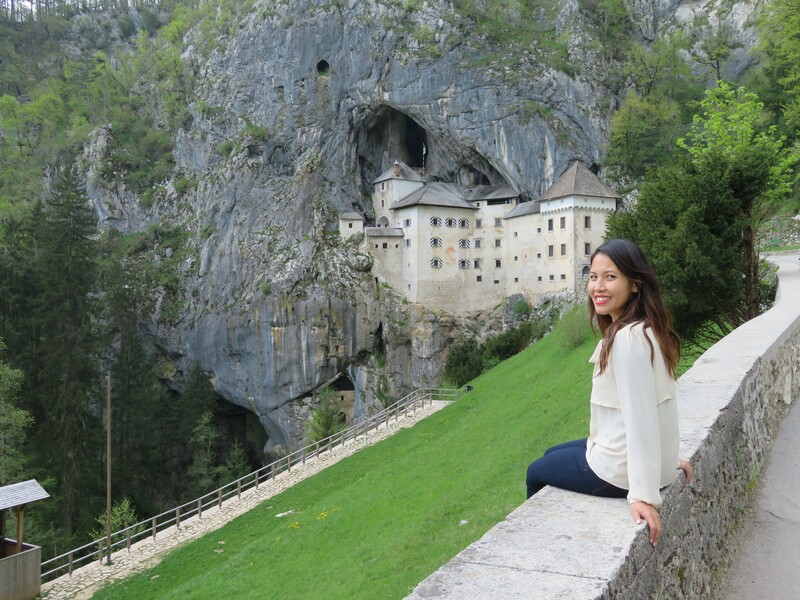 It costs €35,70 to enter into both the Predjama Castle and Postojna Caves. 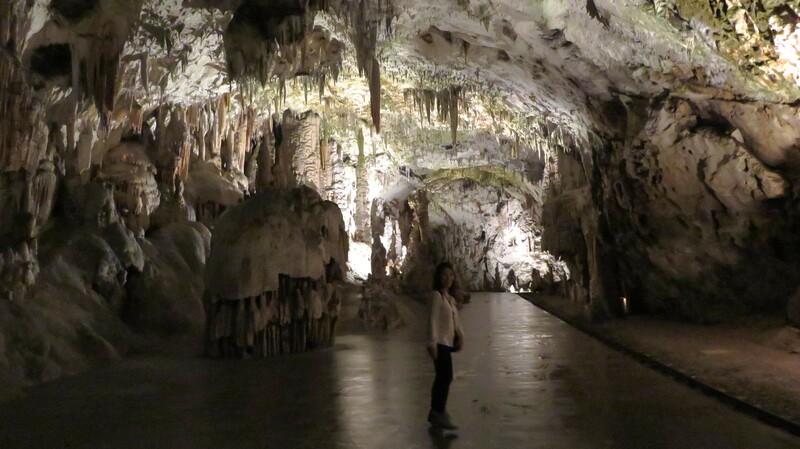 The ticketing agent recommended us driving to predjama first than the caves since the castle closes at 5. The castle and caves are 9km apart. It took about 20 mins to get to the castle from the caves and 15 mins on the way back. The castle was stunning outside. There was great photo opts everywhere you turned. As we entered the castle, the representative handed us a self-guided audio device that translated info in various languages. There are numbers located throughout the castle that you can input on the device if you want to learn more about that certain area. The castle had several levels. We climbed all the way to the top and made our way down. We were told to arrive 5 minutes before our schedule guide time. We arrived at 3:50pm and our tour had already left. We wind up in the Italian Tour but we squeezed our way til we heard the English speaking tour. We took a 15/20 minute train ride through the tunnels until we reached our start point. The caves were cold. We were warned that the caves would be cold but it was hard to gasp the temperature. It was so hot outside. I recommend wearing layers. Bundle up and wear a scarf and an overcoat. It can get down to 8-10°C/46-50°F. We walked around for an hour with our tour group gazing at the intricate historic caves. I’ve never seen anything like this. I recommend wearing sturdy shoes while walking through the caves to prevent from slipping. The ground can get wet. We finished the tour shortly after 5:00pm. Most of the shops were closed for the day. We entered into an ice cream shop before making the long drive to Plitvice. It took us about an hour to reach the Croatian border. The border control agent checked our passport twice and stamped our passport. The line wasn’t too long. We were in and out within 10 minutes. We had to pay €1 to enter into Croatia. 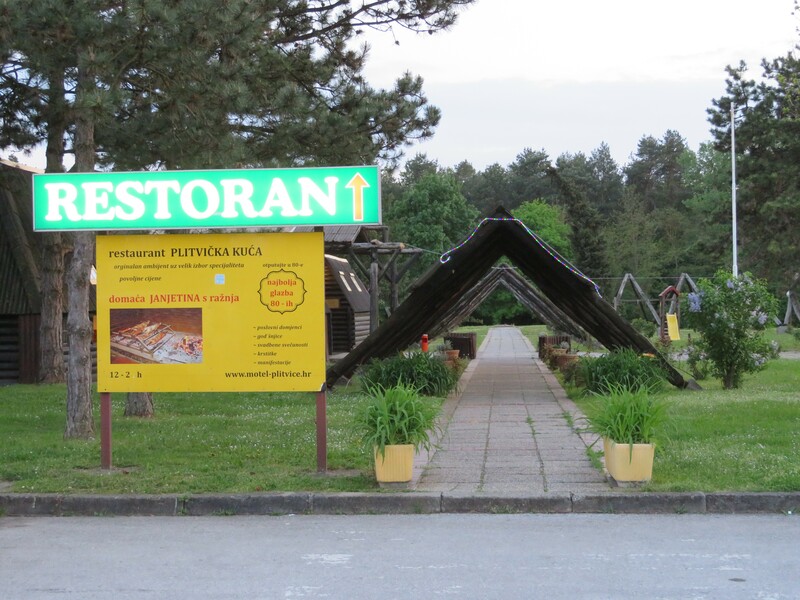 Right off the Croatian border, we decided to eat at Restoran Plitvicka Kuca . The ambiance just reminds me of an cozy diner hidden in the mountains. The server was very friendly and tried to teach us a few Croatian words. 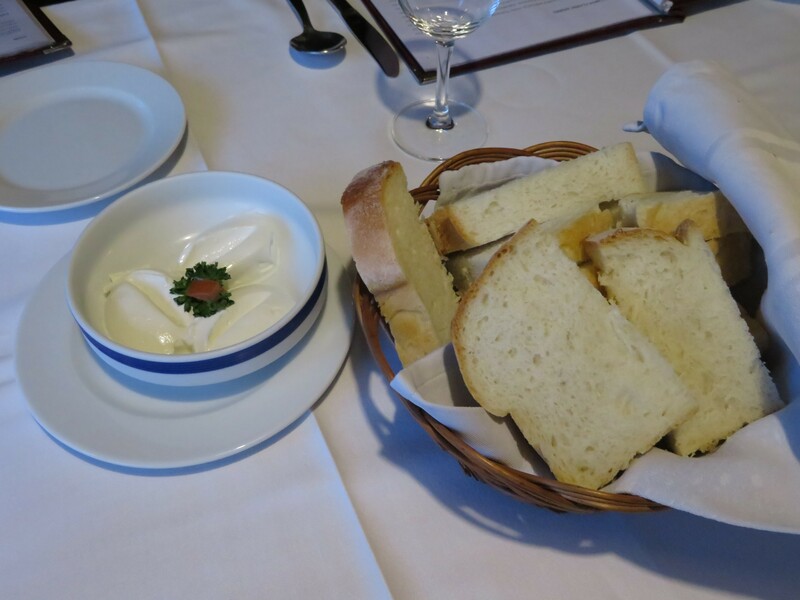 Our server brought us bread dipped with this white sauce that tasted like sour cream. I ordered a dish that was similar to a country fried chicken. It wasn’t my favorite thing to eat but I’m glad to be trying some authentic food. 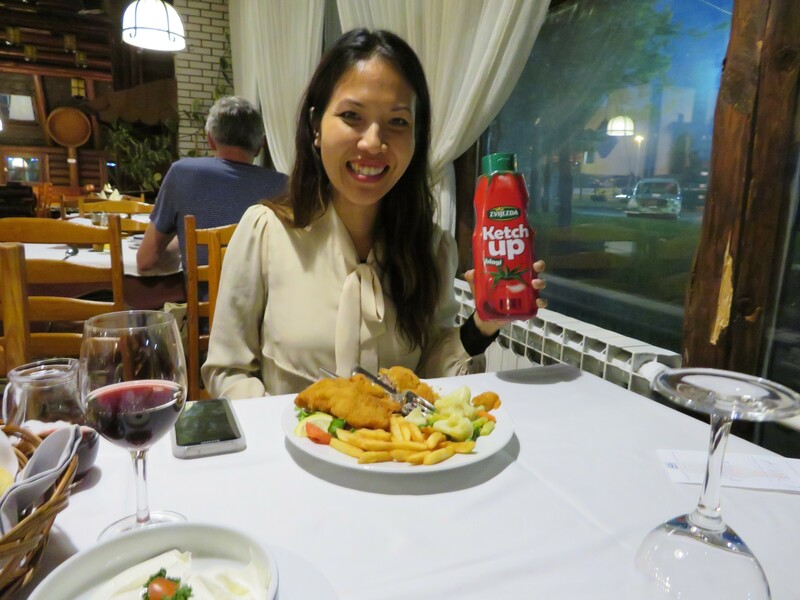 I asked for ketchup and our server came over with a bottle the size of fabric softener. It was huge! 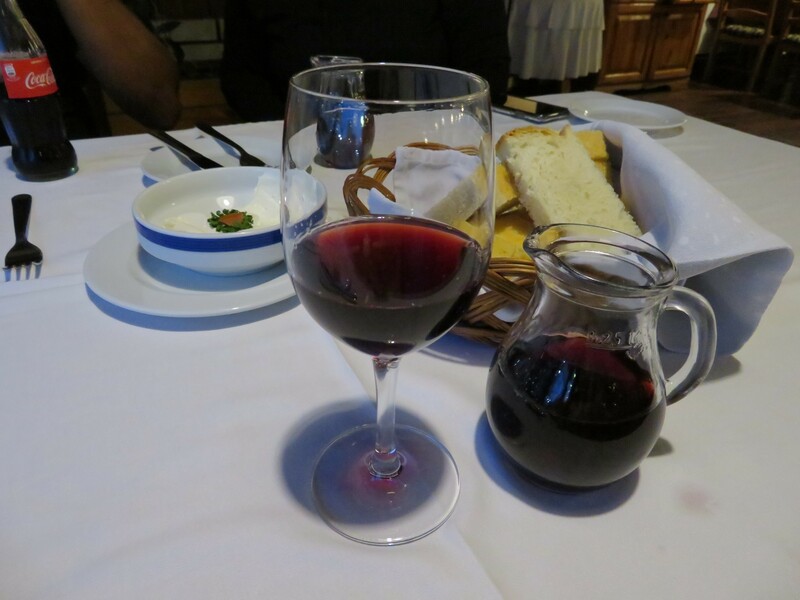 Overall, our experience was great. Now we have another 3 hours to go until we reach our hotel. We left the restaurant around 7:00pm. The road leading up to our AirBnB was very winding. We were driving up the mountains with little visibility. I wish I had known this before I decided to book our hotel next to Plitvice National Park. There were a few hotels that we stumbled upon on our drive. We didn’t get to our hotel until 10:30pm. 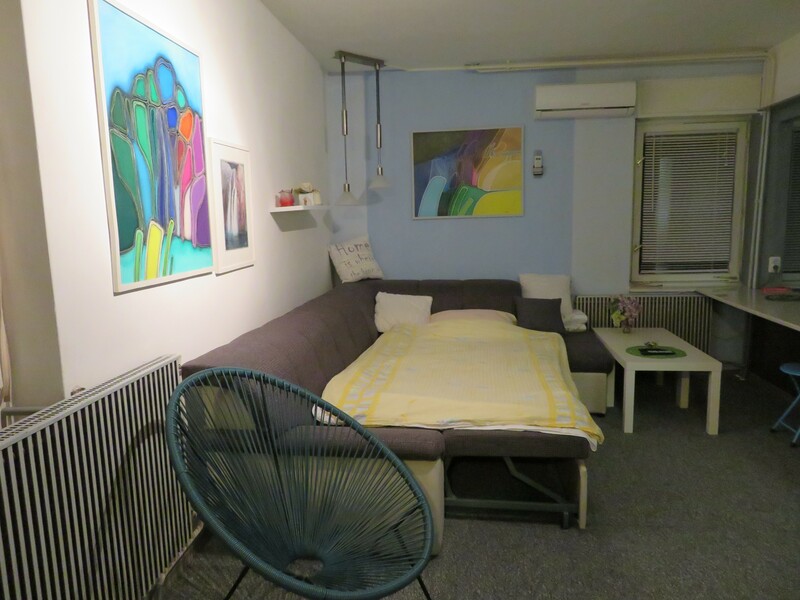 I stayed at Art Apartment. located by Plitvice National Park. It was 82.73 (including service fees) for the night. It was difficult to find the building at night because there was little light. We only found the place because we were told that the apartment was across the street from the market. We parked our car in an unmarked area and walked over to our room. 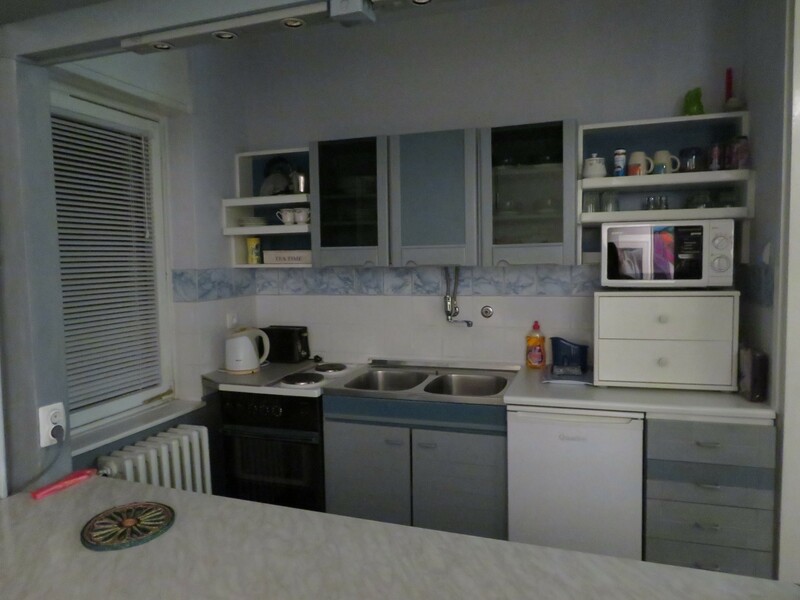 The apartment was clean and quaint. It was a 1 bed room, 1 bathroom apartment with a pull out sofa. The beds were comfy and the best part was that there was AC! 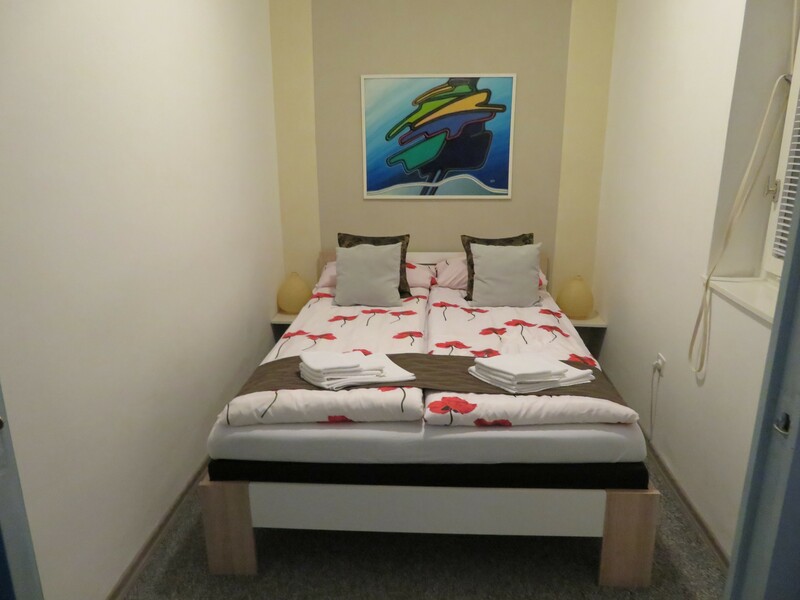 Time to get a goods nights rest for an early start at Plitvice National Park.